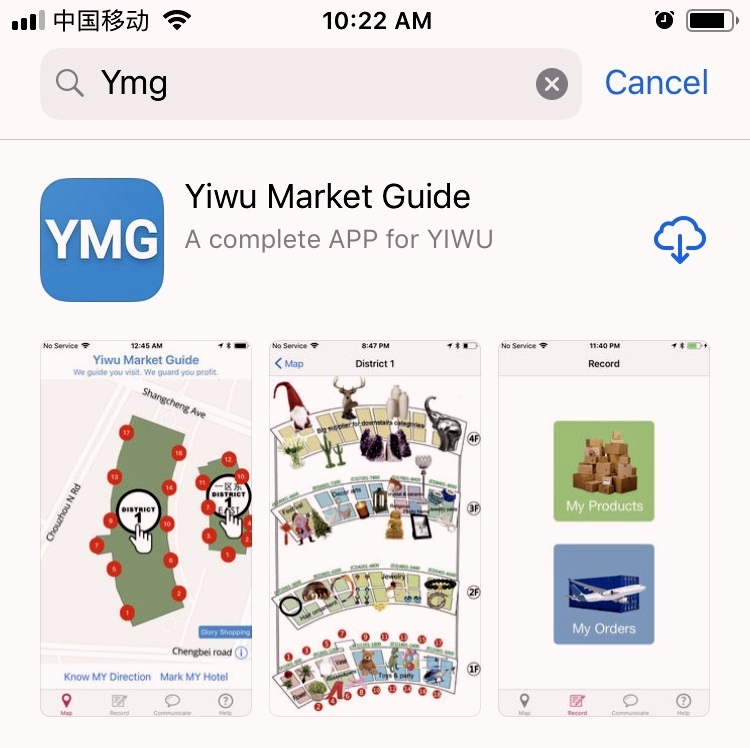 urm... this is maybe the best App available for visiting Yiwu market. Available on Apple store, Google Play; can direct download for Android phones (the 3rd option at bottom of this page). 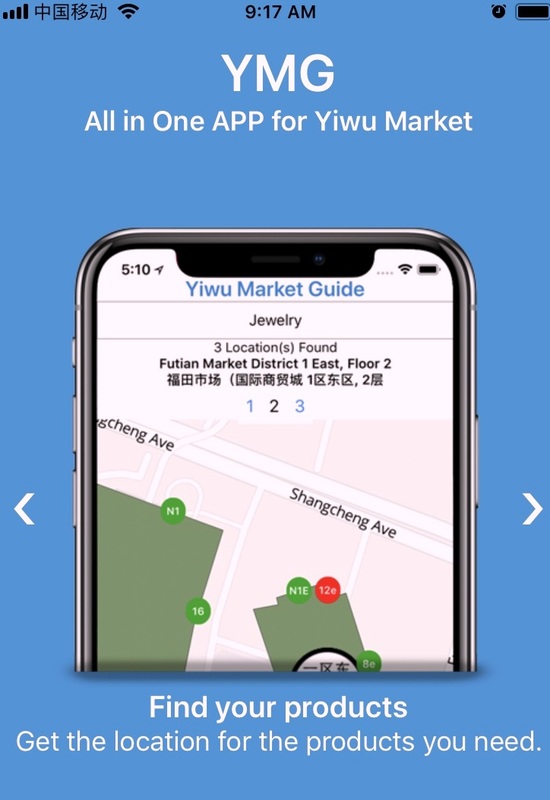 Maybe the best app available for visiting Yiwu market. Built-in GPS and market map let you know where you are, even without WiFi. move outdoor and wait for 20 seconds if your phone can not detect GPS signal. Make sure location/GPS on your phone, is turned on and allowed for this app. Live location shows where you are, and your facing direction. Product area search let you know quickly where your products may be located. You can search where your products maybe located. 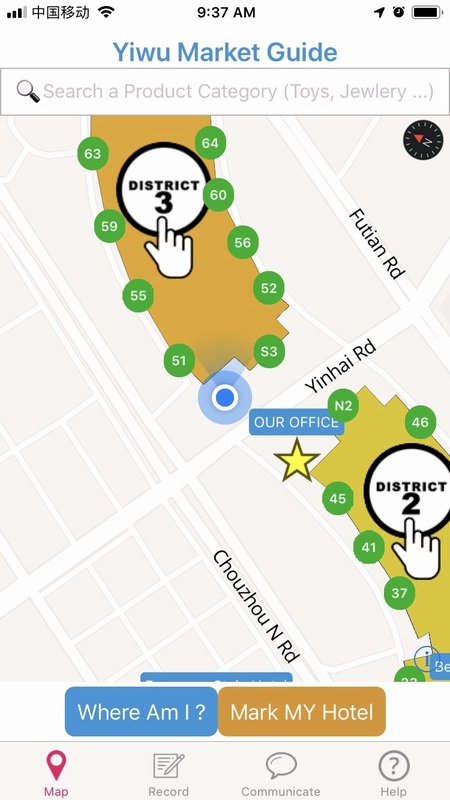 Built-in market maps for each district, let you know what products are at which floor, which gate, which district. 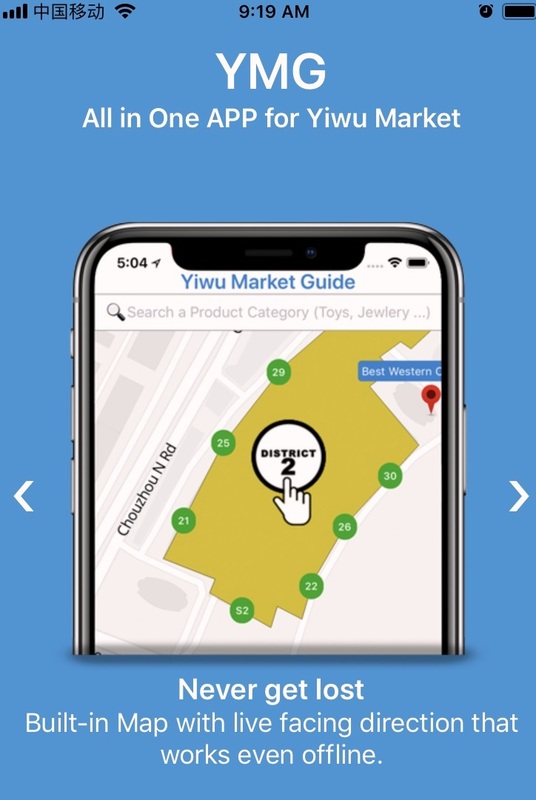 Built-in Yiwu market map shows you what products are at which place. Built in translation in text & audio enables you to ask suppliers for basic information. You won't have to hire a translator just for basic information acquire. 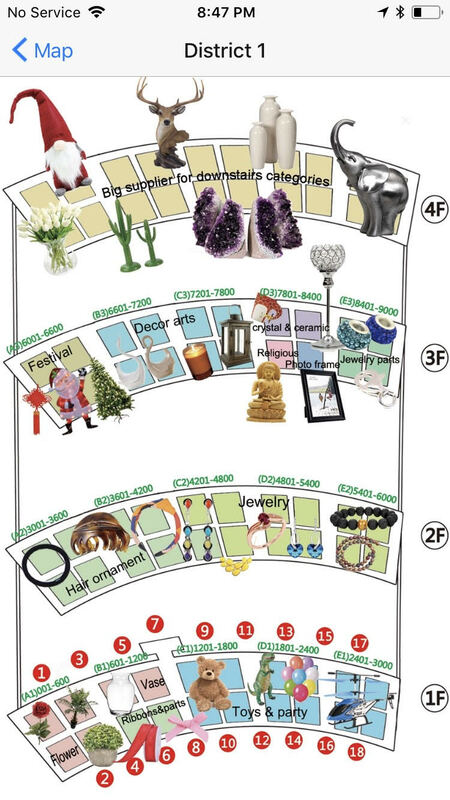 Ask for wholesale price in Yiwu market with App. 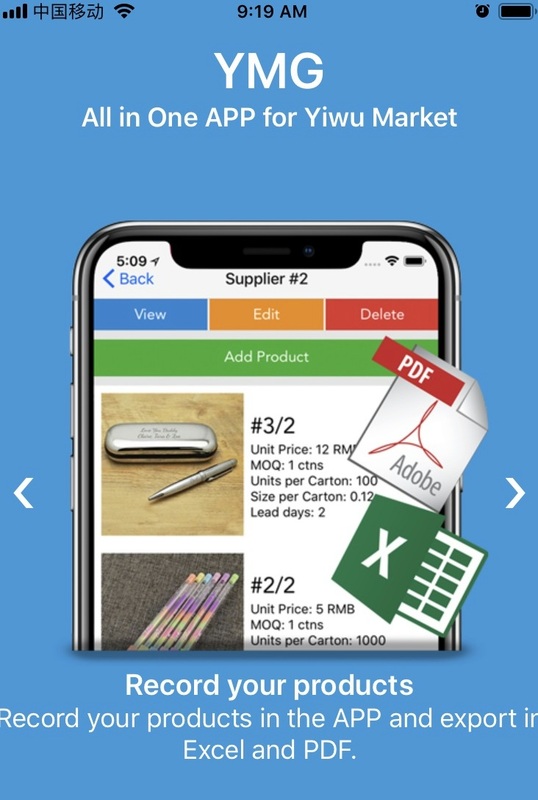 Just show your screen to supplier, to get all basic questions answered. Without any translation. (prices translated by human translator can be wrong). 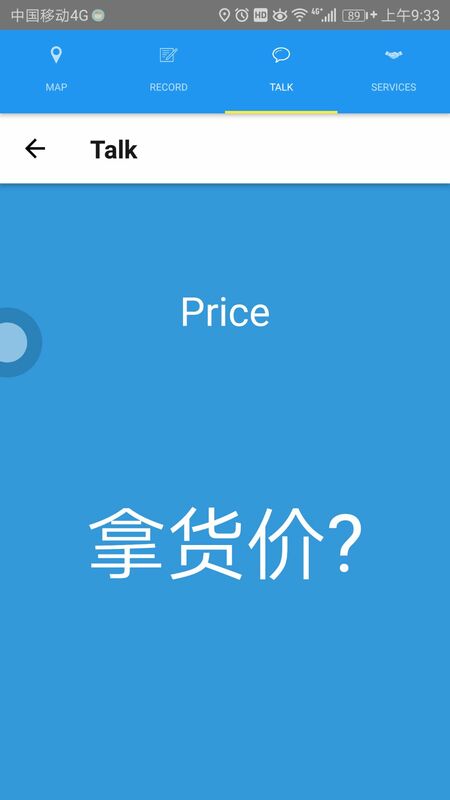 Built in translation app for asking information in Yiwu market. Or, press the red speaker there, it will speaks in Chinese to supplier, never get tired. 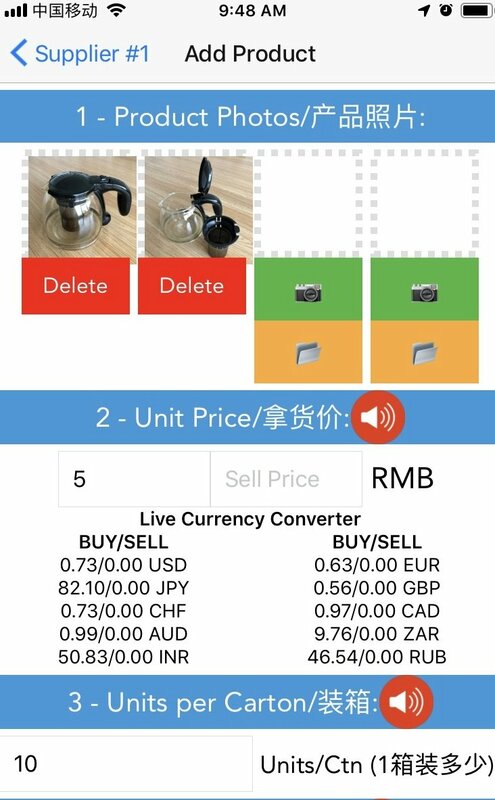 Record all important information of your products: picture, price, package, minimum order quantity,lead time, order quantity... automatically linked with supplier name card. Then export in Excel or PDF, in minutes. 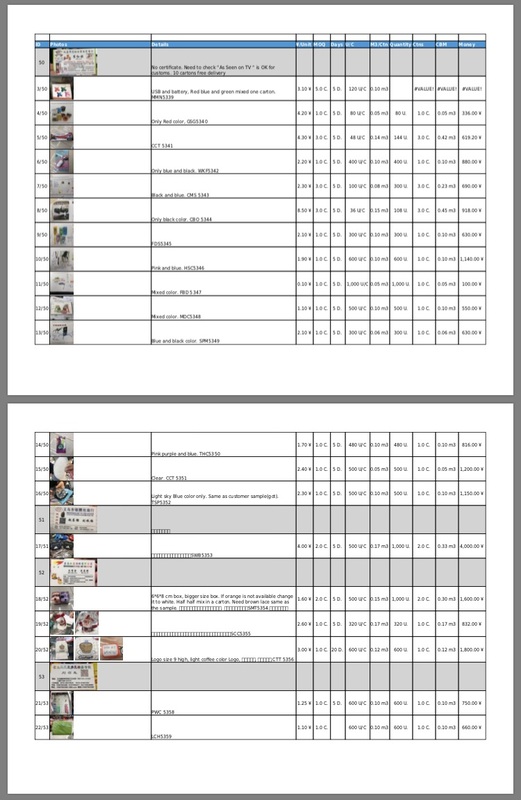 Get your own price list in excel and PDF in Yiwu market. What if something this app can not handle? 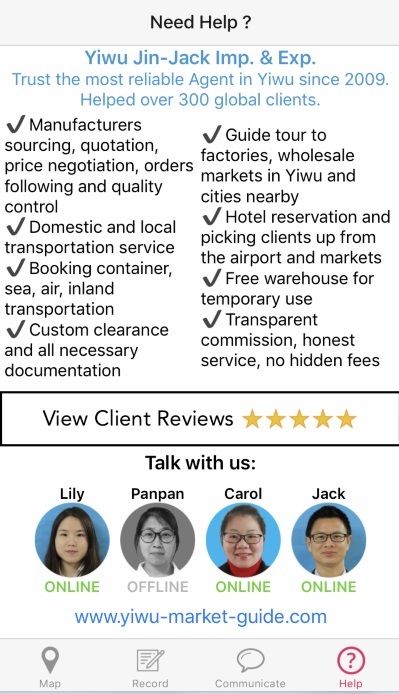 No worries, our professional agents are ready to help you, at live time! Maybe the best tool available for visiting Yiwu market. Get on Google Play for FREE. DIRECT Download for Android Phones, Free.